It was finals day on Sunday in the Blyth & Wansbeck Sunday League and the Saints Shield Final, sponsored by CR Scott Ltd, saw Ellington Plough up against Division One title favourites Blyth United Services. The game certainly sprung into life after just four minutes when Lee Richardson put the Services one up. The Plough did not have a chance to compose themselves, when they went two down after six minutes when Paul Huck scored. It looked like the floodgates could open, however, the Plough slowly came into the game. After the restart, the Plough seemed to gain in confidence and started to cause the Services’ defence problems. With 20 minutes left, the Plough reduced the arrears when a breakawy saw Bryen Atkinson score. The game became very open with chances at both ends. In the last minute, the Services were awarded a penalty when a Plough defender was sent off. Martin Robinson stepped up; however, Kieren Atkinson saved the spot kick, Robinson following up put the rebound wide. The SA Randolph Cup was won by Bedlington Social , who beat Newsham Victory. 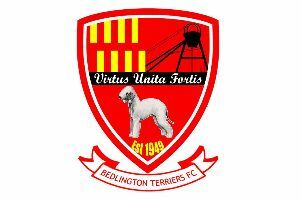 There was nothing between the sides until the 25th minute when Joe Bolam scored to put the Bedlington side ahead. Newsham tried to get back on level terms, however, the Social Club held firm up to the interval. Again, there was little between the sides in the second half, but Andrew McLennen doubled Bedlington’s lead in the 84th minute, 2-0 being the final score. In the Premier Division, there were wins for Amble Tavern and East Chevington. East Chevington won away against Bubbles Ashington 7-0. Chevington had a player in fine scoring form, with Adam Shanks netting six of the seven goals. Skipper Liam Eason scored their other goal. Amble Tavern also won away, 2-1 against Newbiggin New Ship. Bradley Higgins scored for the Ship whilst Josh Hay scored both goals for the Tavern. 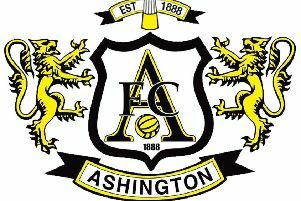 Ashington Town Mortimer got over last week’s defeat against Cambois Club winning 5-3. On target for the Mortimer were Daniel Hartshorn (2), Michael Grieves, David Brown and Marc Donaghey. Connor Willis led the scoring for Cambois Club with two and Ryan Clark.